Sharing photos of our dinners has become one of our favorite pastimes, but according to a recent study, these images can reveal something deeper about our lifestyle and socio-economic status. The study, conducted by researchers from the Georgia Institute of Technology, discovered that people in food deserts, areas with limited access to fresh, healthy food or grocery stores, shared Instagram images of food that is 5–17% higher in fats, sugars and cholesterol than those not in food deserts. In all, they studied three million geo-tagged posts. 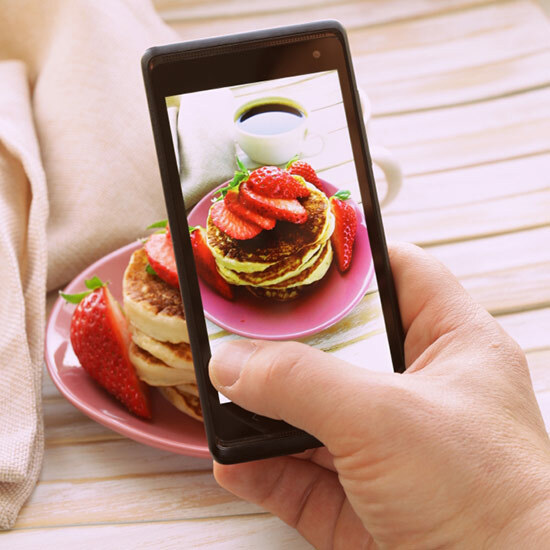 The researchers came to this conclusion by analyzing Instagram food posts in various regions of the US, based on pictures and location uploaded. In food deserts of the Southeast, photos of bacon and potatoes and grits were popular, while in non-food desert in the Southeast, there were more images of collard greens, peaches, and oranges. Same in the Midwest, where you may see hamburgers, hot dogs and brisket in food desert regions vs. beans, spinach and kale in non-food deserts. This comes as no surprise at all, says Bruce L. Hardy, a Professor of Anthropology at Kenyon College in Gambier, Ohio. “People living in food deserts typically live closer to a fast food outlet than to a grocery store. Furthermore, if there are fresh foods available nearby, they are often in convenience stores and are more expensive than the highly processed, high sugar, high fat foods also carried in the store. These unhealthy food choices ultimately affect the health of the people living in food deserts leading to higher rates of obesity, heart disease, and type 2 diabetes. Food deserts disproportionately disadvantage the poor and racial minorities who live in these areas,” says Hardy.